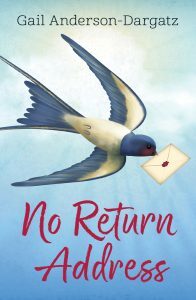 On the anniversary of her mother’s death, Rhonda receives a mysterious package in the mail. And it’s from her deceased mother! As she tries to figure out how this is possible, Rhonda turns to the people around her, reconnects with her brother and makes new friends. While the package from her mother wasn’t what she expected, Rhonda realizes it’s a bigger gift than she ever imagined. What planning or research did you do for No Return Address? Believe it or not, the story was inspired by a real life event. My own mother sent advent calendars to myself and my grown sisters each Christmas. In 2007 she passed away. I remember going to the post office after she passed thinking I would never receive one of those packages from her again and mourned her loss all over again. But just before December 1, there it was, an advent calendar. I stood in the post office and cried, and it took me a moment to realize that she hadn’t sent it to me. My oldest sister had picked up the tradition. My oldest sister, the one I mention above, tells me I told her I would become a writer when I was seven years old. We lived in a household where reading and writing were cherished and every day events. That would be the advent calendar I mentioned above. The inspiration for the book! I would love to write sci-fi. At the end of a day writing and critiquing literary fiction, I watch sci-fi film and TV. Not too big a leap for me to write it, I think, as my writing has always tended towards magic realism. Perhaps not unique, but aside from doing master classes and events for writers across the country, I host writing camps and retreats in Ontario and BC. I love pulling these events together. An exercise in community building. Hah! Earning a living. And finding the time to write. But at least I get to do what I love. Passing on the torch. As much as I love writing, mentoring other writers and editing their work is even more satisfying. Letter writing is a nearly lost art, but it still has the power to bring people together. I hope this novella prompts people to write letters to the people they love. I also hope people talk about the importance of keeping the relationships with their siblings strong. No Return Address is available now. 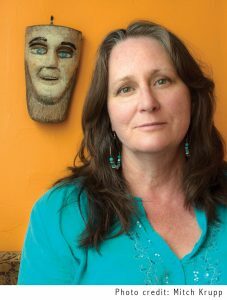 By the age of eighteen, Gail Anderson-Dargatz knew she wanted to write about women in rural settings. Today Gail is a bestselling author. A Recipe for Bees and The Cure for Death by Lightning were finalists for the Scotiabank Giller Prize. She also teaches other authors how to write fiction. Gail divides her time between the Shuswap region of British Columbia and Manitoulin Island in Ontario. For more information, visit gailanderson-dargatz.ca.